Pick your own apples 2018 is September 8th - October 28th on Saturdays and Sundays ONLY. Visit the most popular apple orchard and farm market in the North Georgia Mountains located near Ellijay, Georgia. We are a short 1.5 hour drive from Atlanta, Georgia or Chattanooga, Tennessee. Hillcrest Orchards is a seasonal business and is only open during the months of September, October & November. Hillcrest is family owned and operated and has been growing apples and fun for children, adults and seniors since 1946. WEEKDAYS: Admission is $8.00 per person (walking age & up). Includes the petting farm, wagon rides and all our playgrounds- including the giant slides. The bakery is open every day and offers goodies such as fried apple pies, apple cider doughnuts and our famous apple fritters. The farm market is open every day and has bushels and bushels of tree ripenend apples, cider, canned goods, honey, baskets, peelers, toys and so much more. So plan to fill your shoppping bags here. The Hillcrest Cowfe and Hillcrest grill are open on festival weekends and server burgers, hot dogs, BBQ, fries, grilled corn on the cob, chicken on a stick, fried oreos, funnel cakes, ice cream and lots more. We've been working all year, pruning in the winter, planting in the spring and adding new attractiona this summer. Additons this year include the first & only Apple Tree Maze in the Southeast and racing ducks. Bring your camera to capture those magical fall memories. 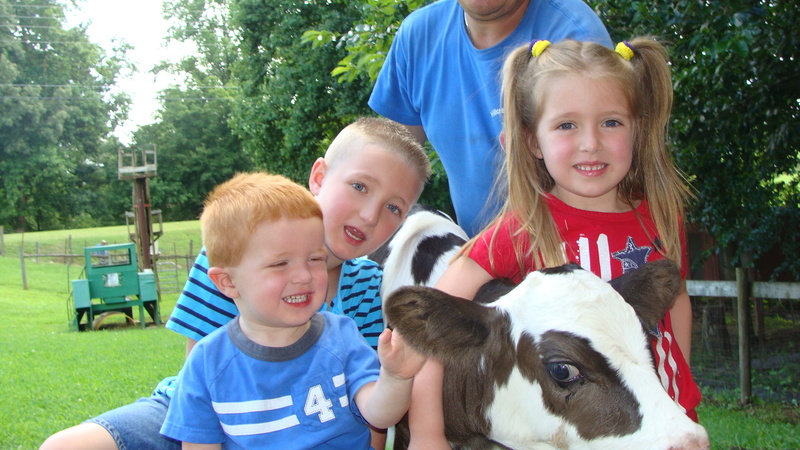 We take great pride in our family farm and agritourism destination and plan to continue providing wholesome family entertainment as we share our farm with you. Make your special fall memories at Hillcrest Orchards this year.